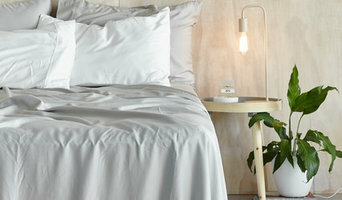 Mulberry Threads Co. creates luxe bamboo bedding and towels using the finest natural textiles. Our collection has been designed with uncompromising comfort, quality and style in mind. Founded through a shared love of soft, natural fabrics in 2014 by sisters Claire and Kate and bestie Kira, Mulberry Threads Co. believes in luxury with an eco-friendly ethos. Bedrooms by AURA offers a wide range of modern beds that can be customised to meet your preferences and bedroom requirements. We have the best selection of exclusive beds, leather beds, contemporary beds and French provincial beds in king and queen sizes. As Ejuno, we are proud to provide a wide range of organic baby products. Our baby products are organic, pure plant-driven and safe to use without any synthetic fragrances. Please visit our website to see our featured products, and at the same time, the best organic products in Australia. Planning a bedroom makeover? Creating a luxurious retreat won't be complete until you fund the ideal duvet, linen and other bedding. Quilt covers alone can transform a space from ho-hum to a grand boudoir. In the same way, a bathroom makeover can be as simple as new bath towels or bath accessories. A bathroom renovation in East Perth could see you sourcing a new bathtub or bathroom taps. Here are some related professionals and vendors to complement the work of bedding & bath: Home Stylists and Property Staging, Kitchen & Bathroom Designers, Interior Designers & Decorators, Furniture & Accessories. A good place to start is re-vamping your storage. In a bathroom, where storage is often in short supply, a supplier who has a wide variety of brands and ideas can save your days of searching. So start by perusing the reviews and ratings of bedding and bath manufacturers and retailers in your East Perth, Western Australia area.